Forget everything you thought you knew about music in the Netherlands. There’s a whole world beyond that one cacophonously hazy Gabber House night you think you went to in Amsterdam that one time but were too stoned to remember. And it’s all coming to the UK. 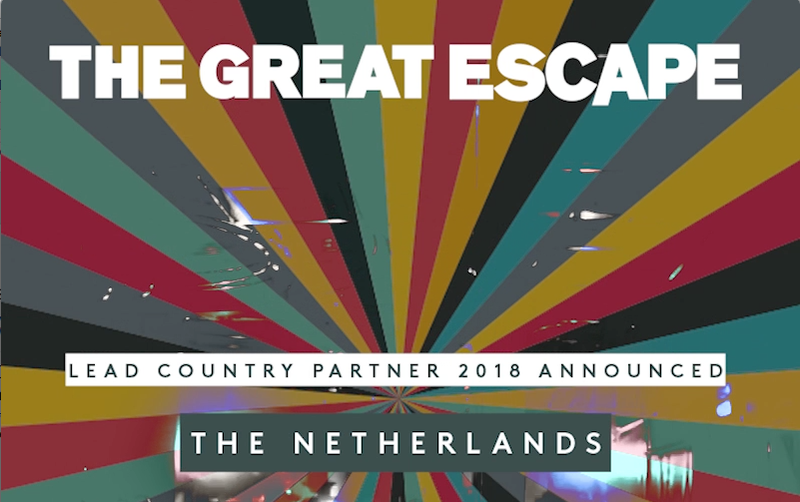 The Great Escape, the festival for new music, is excited to announce that the Netherlands will be its lead international partner in 2018. The Great Escape alongside the Dutch Music Export will be highlighting The Netherland’s music industry with performances from an array of the country’s most prominent rising stars. The Great Escape is internationally renowned for breaking the best and brightest new talent from around the world here in the UK. For over 13 years the festival’s international partnerships have played a key part reinforcing this ethos, enabling new artists from diverse music markets to showcase their talents in front of The Great Escape’s extensive audience of influential industry delegates and festival go-ers. The Dutch Music Export is a longstanding partner at The Great Escape festival, since year one the Dutch Impact party has been a highlight in the convention programme. For thirteen years Dutch artists have provided festival go-ers with many incredible and memorable performances, previous artists include; Jameszoo, Klangstof, Amber Arcades, Dope D.O.D and Jacco Gardner. 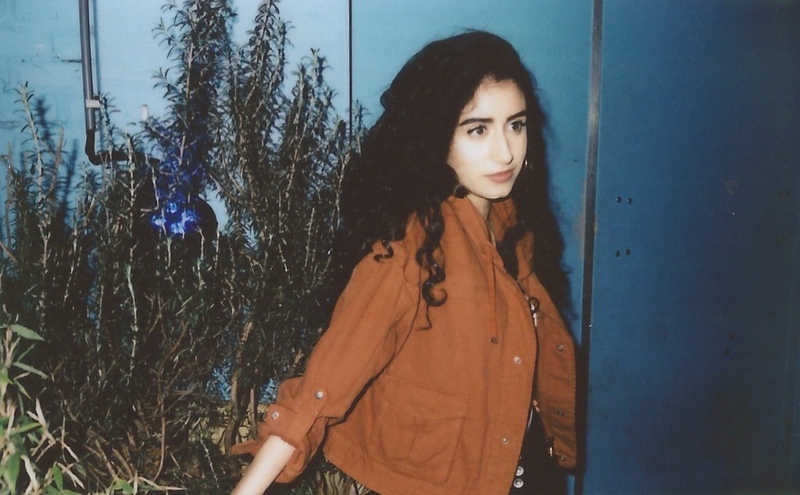 Booked to play The Great Escape and FIRST FIFTY this year is eighteen-year-old Dutch/Kurdish singer/songwriter Naaz, influenced by her migrant background she will relay tales of personal struggle and will capture audiences with her distinctive, haunting voice. Joining her is Amsterdam’s Pitou who is renowned for her dazzling array of influences, ranging from Bulgarian choir music to Sparklehorse and Joni Mitchell. Her highly anticipated self-titled debut EP was released last year on Scottish/Dutch label Mink Records and was greeted with national and international critical acclaim. Many more thrilling Dutch artists will be announced over the coming months. 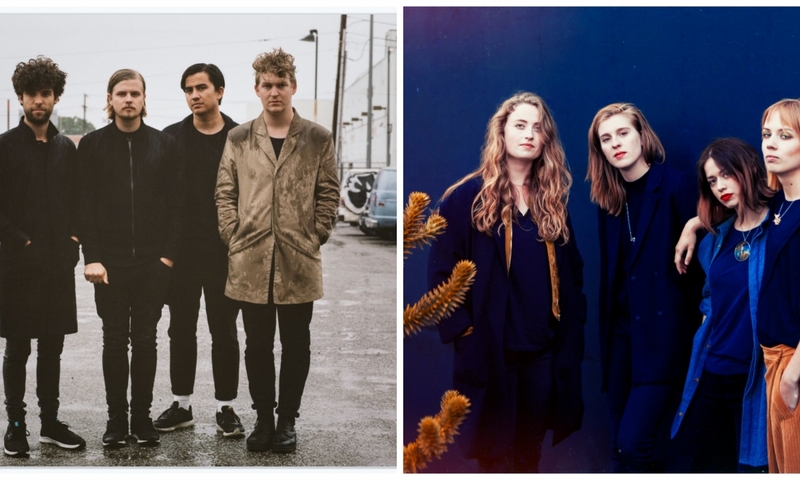 Previous lead international partnerships have included the likes of Canada (2006), New Zealand (2009), France (2007) and Switzerland (2017), bringing acts such as Alvvays, Broods, Christine and the Queens and Carnival Youth to the UK. Rudd Berends, Dutch Music Export Producer, commented: “Dutch Music Export is proud to be the focus country at TGE 2018. Our country has supported and attended TGE from year one with both the Dutch Impact Party and through various promotional support for our artists and industry. The UK is one of the most important countries for us to present the best the Lowlands has to offer and The Great Escape provides the best platform to showcase, support and promote Dutch musical talent to not only the UK but international music industries and audiences. The Dutch Impact showcase returns to Reeperbahn bringing you the best artists from the Lowlands. 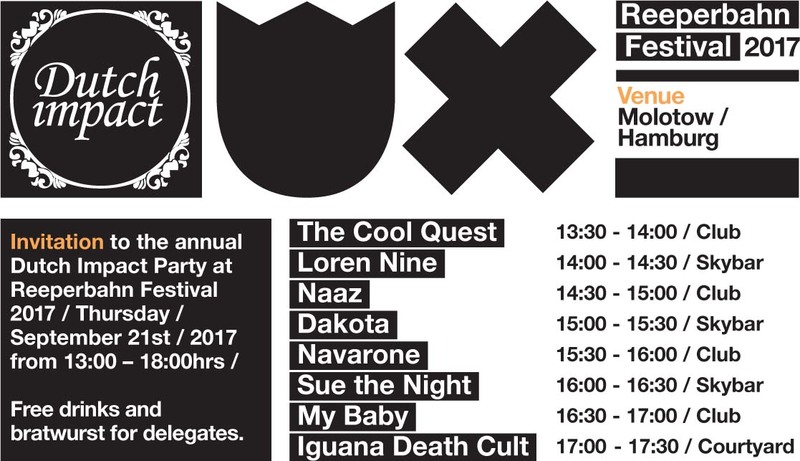 The event will take place at Molotow on Thursday 21st September and will see performances from Dakota, Iguana Death Cult, Loren Nine, My Baby, Naaz, Navarone, Sue the Night and The Cool Quest, with other acts confirmed to play at the festival being Bazzookas, Dool, Kuenta I Tambu and Paceshifters. The BAZZOOKAS have been a kind of mobile fixture, if not mascots, of the Reeperbahn Festival for many years. Also in 2017, the yellow school bus will be present again, this year, however, in the new Festival Village on Heiligengeistfeld. The evolution of the BAZZOOKAS is equal to the discovery of gunpowder: when the Dutch band got together to make music, their ska broke free like an explosive blend. Since then the eight guys around singer Bazz Barnasconi have taken care of rocking the land up and down. In the Netherlands as well as in Belgium, Germany or France: everybody letting themselves go for this squad, being dragged into ultimate pogo-dance as soon as the opening starts off, just like a Formula One race car. They make whole festivals go mad at once, when they bring their music to the people directly from the roof of their school bus. Then the vehicle starts wiggling, its axles scream, and inside and outside the bus ska-express is let loose, shaking the world to the core. Do you know that feeling? That feeling of wanting to lay back on the couch, close your eyes and drift away to dreamy and hazy music? The Netherlands’ Dakota do just that. Dakota’s new project titled “Leda” blends Psychedelic guitar riffs with indie-pop roots, coming together into a neatly packaged 6 track EP. But don’t let this lo fi charm fool you, the live show of this four piece band gets you to the edge of your seat.They seamlessly blend California feels with Garage Rock and Dream Pop. Look out for Dakota as they make their way in the underground pop scene. Emerging from underneath the fumes of Rotterdam’s vast industrial harbour comes DOOL. Dutch for ‘wandering’, DOOL takes their audience on an otherworldly journey through dark, melancholic songs, allowing only the faintest glimpse of hope and light to penetrate the listeners’ minds. When formed out of the ashes of Dutch rockbands Elle Bandita and The Devil’s Blood in late 2015, DOOL quickly gained a following after releasing their first song and accompanying video ‘Oweynagat’, resulting in both a highlighted showcase at Roadburn festival as well as a record deal with German ‘Prophecy Productions’. Their praised debut album ‘Here Now, There Then’ was released in February 2017, followed by two succesful European tours in the same year. All Those Who Wander Are DOOL. Rotterdam’s rousing Iguana Death Cult has claimed its own dominion inside the Dutch port’s concrete jungle. The foursome’s high-octane protopunk and acid-drenched psychedelics create havoc not unlike a ferocious horde of bees. Iguana Death Cult is likewise hyperproductive, not to mention stronger as a whole that the sum of parts. And once you poke their nest a bit too hard, the band’s sheer propulsive force engulfs you from all sides and angles.‘Territorial’ might be the best way to describe Iguana Death Cult. Naturally, debut album The First Stirrings Of Hideous Insect Life is a perfect match for their well-documented dynamo-like thrusts and melodic squalls, which come as natural to them as a (Jelly)fish in the water. Loren started playing the piano at the age of two and by 9 she wrote her first song, in English too, entitled Lavender Fields. By the time she was 13, she had learned the guitar and signed her first publishing deal as a singer songwriter. Loren made her debut on Dutch national radio to be followed by and appearance on Holland’s biggest Talk show ‘De wereld draait door’. With a self-released song and, barely 16 Loren was chosen to star in the Bose Commercial which was broadcasted in the Netherlands, Italy and the USA. Having recently graduated from the Dutch Herman Brood Academy, Loren now has the time to focus solely on music. Partners and interested labels haven been very flattering likening her style as a singer to Norah Jones and Adele and her talents as a writer are unique and very versatile. Loren is best described as a creative soul with a passion for music, which is contagious to anyone who works with her. It hasn’t taken long for Amsterdam based psychedelic, shamanic trio MY BABY’s swampy blues and funk-inflected sound to cast a formidable spell, taking the world by storm. Over the past 3 years, Dutch brother-sister-duo Sheik (drums) and Cato van Dyck (vocals) and New Zealand guitarist Daniel “daFreez” Johnston have had their mojo working overtime and apart from touring relentlessly, they managed to release a new album called“Prehistoric Rhythm” this year. MY BABY’s music has been influenced by the power of spiritual music (gospel and voodoo spirituals) and the entrancing hypnotic quality found in music accompanying shamanic rituals. With the release of their new album, MY BABY endeavours to take the audience on a shamanic influenced musical journey. The new album brought the band some noteworthy achievements, like: First Dutch band to perform at the mainstage of the legendary Isle of Wight Festival, second time playing at Glastonbury Festival, airplay on BBC Radio 1 and BBC Radio 6 as well as sold out European club shows. Inspired by the likes of Bruno Mars and Demi Lovato, Naaz is a singer/songwriter from the Netherlands who seeks to inspire people with her music. She began writing songs when she was six, but it took a while to convince her Kurdish family to allow her to make her music public. After posting cover versions of pop songs to her YouTube channel, she released her debut single, “Nobody Said,” which she co-wrote with her brother Yaad, in 2013. In 2015, she appeared on Yellow Claw & Flux Pavilion’s “Catch Me,” and released another pair of singles, “Sadboy” and “Escape,” in 2016. The following year, the track “Words” arrived in advance of the debut EP Bits of Naaz. Navarone is a Dutch rock band that combines elements of soulful seventies rock with influences from grunge and alternative rock. Think of the classic rock, blues and progressive rock of the 70’s (Led Zeppelin, Pink Floyd) mixed with the poppy grunge/alternative of the 90’s (Soundgarden, Pearl Jam, Nirvana), topped off with more modern influences like QOTSA, Muse, Foo Fighters and Wolfmother. Add this along with an enormous live reputation and you understand why Navarone has grown into one of Europe’s best, most versatile and appreciated rock bands in recent years. With their newest album Oscillation also internationally released in 2017, Navarone are now ready to take on the rest of Europe. Inspired by the grunge movement decades ago that shook the foundations of alternative music, PACESHIFTERS bring an innovative twist on the genre whilst also boasting the complete unadulterated attitude that it was renowned for. PACESHIFTERS are notorious for bringing an audience to its feet in full appreciation. Having previously rocked festivals such as Woodstock (Poland), Groezrock, Zwarte Cross, Pinkpop, Exit, Rock for People and SXSW the trio have honed their sound to perfection in the live arena and have evolved into a very devoutly passionate Rock band with a sound that is sure to enthrall any listener who enjoys the heavier side of Nirvana with doses of powerful Incubus-esque melodies and riffs along with the grit and energy of Chevelle. Sue The Night is the stage moniker of Dutch artist Suus de Groot. The sultry sound of Sue’s melodies is guaranteed to get you hooked to its spiraling layers of melancholy with a shimmering feel-good summer vibe. Since the release of debutalbum ‘Mosaic’ (2015) the six-piece band has been on a ride; airplay for singles The Whale and Top of Mind, 3FM award nominations for Best Band and Best Videoclip (Mind Dear), sold out clubshows and playing big festivals as Best Kept Secret, Indian Summer, Zwarte Cross, Eurosonic Noorderslag. In August 2016 the band was asked to be a monthly musical guest at the biggest Dutch Daily Talkshow ‘De Wereld Draait Door’. New singles ‘the World Below’ an ‘Mind Dear’ became hits on both Dutch radio 2 & 3. With the release of the second album ‘Wanderland’ (april 2017) Sue’s ride continues, bringing an unique sound to new countries outside the Netherlands as well. Dutch band The Cool Quest has played over 500 energetic live shows. In 2014 a major step was taken by focusing on writing and producing their debut album “Funkin’ Badass” which took the band to national radio and TV. 2015 became a very hot year for the band, starting with an appearance on Europe’s largest showcase festival Eurosonic in January. Their hit single ‘Shine’ was added to the playlist of Dutch national radio 3FM and the band won a Radio 6 Award for ‘Best Group’. Since saxophone sounds have been replaced by guitar sounds The Cool Quest has developed a more electric sound. Their latest single ‘Coastline’ was added to several Spotify playlists in Benelux, France, Germany and UK. With a rapidly growing fanbase, The Cool Quest plays more than 45 festivals in Europe this Summer! Brought to you by Dutch Music Export. Powered by Performing Arts Fund, Buma Cultuur and Eurosonic Noorderslag. The Dutch Impact showcase will once again return to c/o pop Festival in Cologne to highlight the best new and emerging acts from The Lowlands. Taking place at Hans-Böckler-Platz (open air stage) and at Zum Scheuen Reh on Friday 18th August the Dutch Impact showcase will present performances from CUT_ and The Mysterons and a secret act with other performances from Naaz and Rachel Louise during the events evening program. Free drinks and Dutch snacks for delegates and media. Electronic duo CUT_ took off rapidly after their rendition of Stromae’s ‘Papaoutai’ went viral. CUT_ has since then played numerous shows, including performances at Lowlands, PITCH, ADE, Eurosonic and various appearances on Dutch national television. CUT_ released their first single on [PIAS] “Tune In Tune Out” (mixed and co-produced by Leo Abrahams), which was released late last year. Focusing on encompassing the full spectrum of artistry, CUT_ have made video and visuals an important part of their image, as well as trying to excel in their live shows. “We find that live shows are a way to really distinguish yourself as an artist nowadays, especially when, like in our case, the music is focused on electronic production. We make a point of doing everything live.” (Sebastiaan Dutilh: production & songwriting). The Mysterons are a very skillful 5 piece band named after the 60s series ‘Captain Scarlett And The Mysterons’. As is suggested by the name, the young band has a weak spot for that period; their hard-to-pigeonhole music incorporates psychedelica, Indian flavours, repetitive Philip Glass like mimimalism, Turkish influences and a careful listener may suggest they’ve given Portishead a few spins too. After recent high profile performances at festivals such as Lowlands, Into The Great Wide Open, Motel Mozaique, Paradiso and French showcase festival Transmusicales the band released their their debut full length album ‘Meandering’ inFebruary via Excelsior Recordings. The Mysterons take you on an adventurous, edgy, beautiful and psychedelic trip. Enjoy the ride! Rachel Louise is a singer/songwriter based in the Netherlands. She moved to LA when she was 17 to attend the Musicians Institute for vocals. After three Californian years she returned to her roots in the Netherlands to record an EP and show the Dutch what she had learned. After playing tons of shows, winning the “Utrecht Popprijs” and being “Serious Talent” (at the National Radio Station 3FM) she released her first full length album in October 2012. She writes together with her brother Colin Lee who is also the drummer in the band. Currently she is writing for her second album and also focussing on writing for and with others. You can also catch her playing percussion, keys and singing backing vocals with artist “Dotan”. Brought to you by Eurosonic Noorderslag. Powered by Performing Arts Fund, Buma Cultuur, Creative Holland and the Dutch Ministry of Foreign Affairs. CUT_, Dakota, Jameszoo, Klangstof, Kim Janssen and Pip Blom will take to the stage at The Great Escape bringing you everything from rainbow-hued synths to psychedelic guitar riffs, with something for everyone’s musical taste buds. 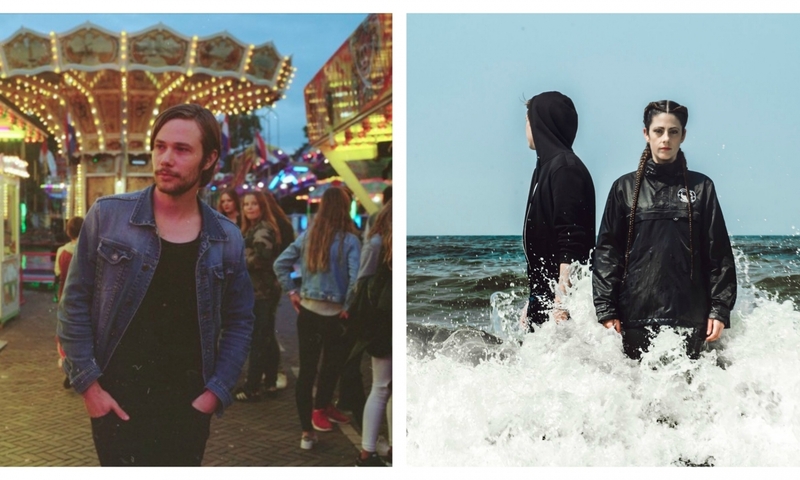 These acts have already built solid foundations and are at the forefront of the Dutch music scene. If their growing fan base is anything to go by, these bands have exciting musical careers ahead of them and are the ones to keep on your radar in 2017. The Dutch have been building their reputation as a nation worth taking notice of when it comes to the new emerging artists and you can expect more of the same at this years Great Escape. Attend the official Dutch Impact party on Friday 19th May or see one of the other many shows during the Great Escape. See full list of venues and times below. The word ‘naive’ comes from the Latin ‘nativus’, meaning native, or natural. Today, to be naive is often seen as pejorative, a lack of experience or judgement, but in the art world the word retained some of its original meaning: a quality acquired through birth, a childlike innocence and wonder that produces spontaneous, unaffected art. For Mitchel Van Dinther, the Dutch producer known as Jameszoo, it is this quality that lies at the heart of his debut album released last year, Fool, which he calls “naive, computer jazz.” Van Dinther emerged from the small town of Den Bosch in the southern Netherlands in the late 2000s. First as a DJ – with wide-ranging crates of avant-garde jazz, prog and kraut rock, electronic experiments, and beat oddities – and then as a producer capable of impressive sonic and rhythmic incongruities. This spring, Van Dinther joins Brainfeeder with an album that fits right into the label’s expanding take on the modern evolution of jazz music. Kim Janssen was born in The Netherlands but raised in Bangkok, Phnom Penh and Kathmandu. His music could be categorized as pop, and it’s swinging in tone from dark to blinding technicolor, with glossy synths, huge orchestral arrangements and Kim’s vocal – at times a Bill Callahan-esque croon, at times a soaring falsetto. His latest album, ‘Cousins’, was recorded across three years and several studios. The album features contributions from Marla Hansen (Sufjan Stevens, The National) and Eiríkur Orri Ólafsson (Sigur Rós) and was mixed by Chris Coady (Beach house, Future Islands) and mastered by Greg Calbi (Graceland). There’s a patience at play in Klangstof’s aural creations: the musician is a craftsman when constructing the chilling sound that comprises his stunning debut album, Close Eyes to Exit. It’s there in the crisp, slow-building single “Hostage,” electric guitars gently strummed, electronic beats like a rising heartbeat, all giving way to full-throated release: “I ran for shelter/But I got there,” he intones. Or in the way “Sleaze” shifts from whispered confession (“Nintendo is the only thing that makes me smile”) to propulsive, rainbow-hued synths at a moment’s notice. Never listen to people who want to change your music. With that advice from a fellow musician Amsterdam based Pip Blom (20) started making songs. At first with just a three string Loog guitar with the 14 track demo album Short Stories (2013) as the result. Three years later the sound has changed completely. Gone is the ‘girl with little guitar’. Enter electric guitars, bass and drums. But it is still all Pip. BROUGHT TO YOU BY DUTCH MUSIC EXPORT. POWERED BY EUROSONIC NOORDERSLAG, DUTCH PERFORMING ARTS AND BUMA CULTUUR. WITH THE KIND SUPPORT OF THE EMBASSY OF THE KINGDOM OF THE NETHERLANDS. The Dutch have been building their reputation as a nation worth taking notice of when it comes to the new emerging artists and you can expect more of the same at this years Great Escape. CUT_, Dakota, Jameszoo, Kovacs, Klangstof, Kim Janssen and Thomas Azier will take to the stage at The Great Escape bringing you everything from rainbow-hued synths to psychedelic guitar riffs, and huge orchestral arrangements with something for everyone’s musical taste buds. Kovacs music has soul. Her dark voice and her passion are what makes her music different from all the rest. Her radical emotionalism and the abyss-deep soul that she brings to her songs seems to turn her innermost self inside out and her raw style and her dark voice lead to comparisons with Portishead or Amy Winehouse. She is 24-years-old, but you perceive that she has already lived a whole life: KOVACS! With the release of her album KOVACS stands at the beginning of her great adventure and she can hardly wait for it to begin. The result is a composite of piano and laptop, bound together by a ‘fil rouge’ that is his voice, in an amalgamation of passed influences and future ones. Azier will release his anticipated second album “Rouge” on May, 12th (Virgin/Mercury Music Group).